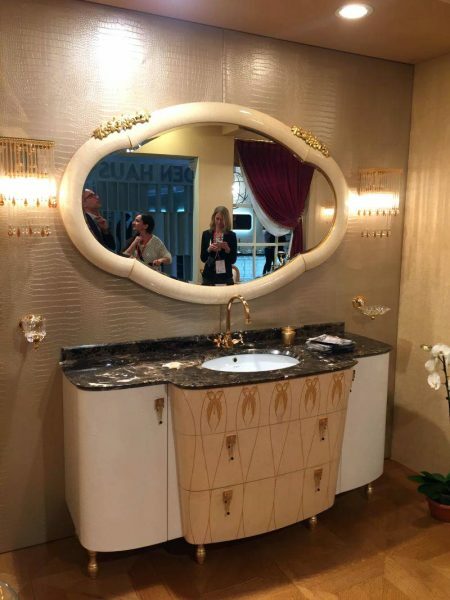 If you are currently planning to remodel your bathroom, turning it into not only a better place but also a more attractive one, then what we will be showing you below can make a great source of design idea and inspiration. 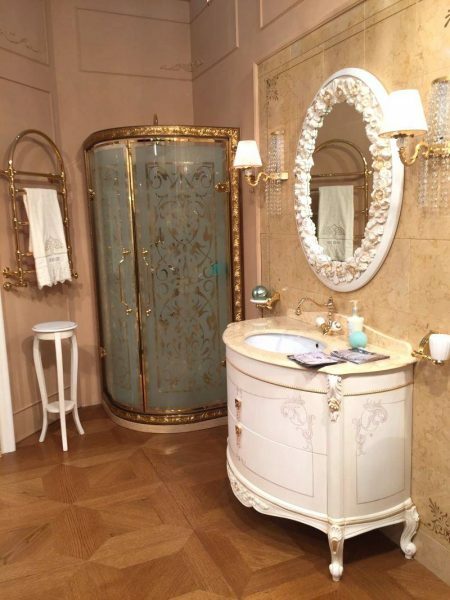 Featuring the timeless and classic touch to embrace luxury into your bathroom interior, these wonderful pictures are surely the ones you should never miss! Considering how essential the presence and role of a bathroom vanity is, it’s never a bad idea to make one in your room a truly visually captivating one! The luxury bathroom vanity here is wonderfully illuminated to stand out effortlessly in the dark bathroom with black mirrors. The timeless black mirror looks elegantly mounted in the bathroom. 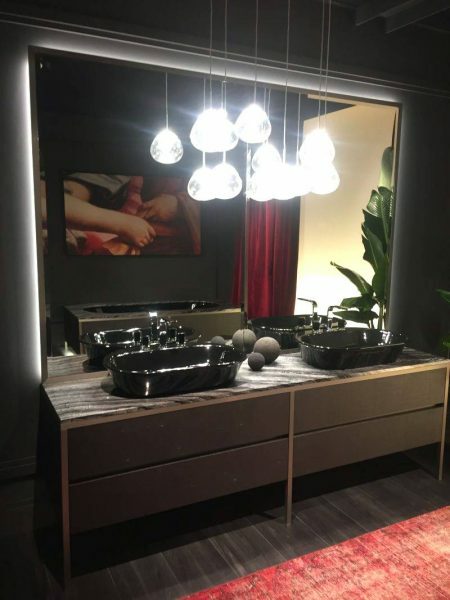 And speaking of dark bathroom interior, this one will make a great reference for you on how to transform the dark appeal into a truly enticing and amazing one without having to sacrifice the aesthetics. 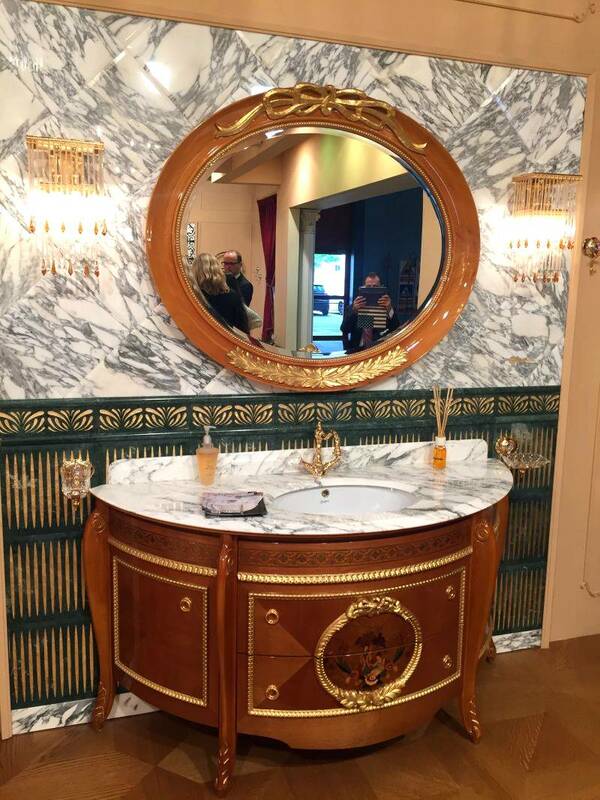 We especially love the choice of vanity design that takes the more classic approach, in addition to the framed bathroom mirror with elaborate detail. 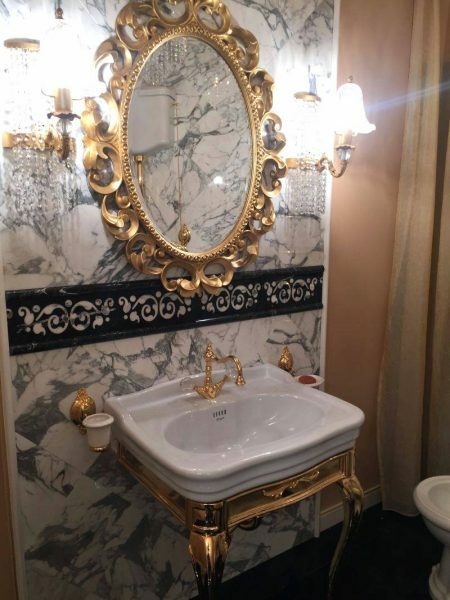 Meanwhile, this glam bathroom space isn’t the one that will shy away from being totally unique and distinctive. 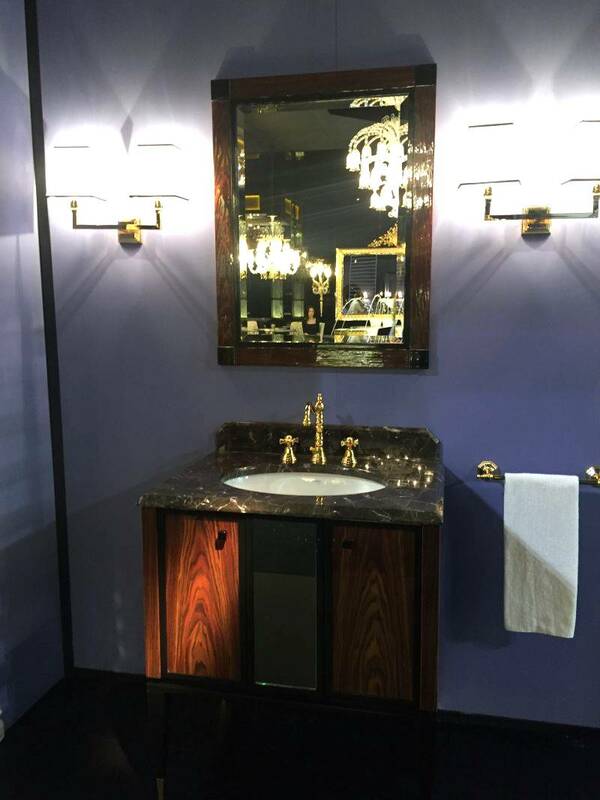 Starting from the shiny bronze vanity to the reflective black backsplash tile with elaborate pattern to accent, this bathroom gives you an impression of luxury with sparks and glam. 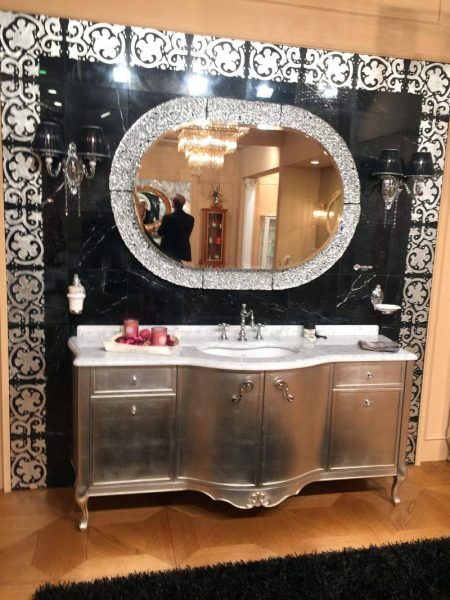 You will want to admire the vanity mirror and its black accents too! 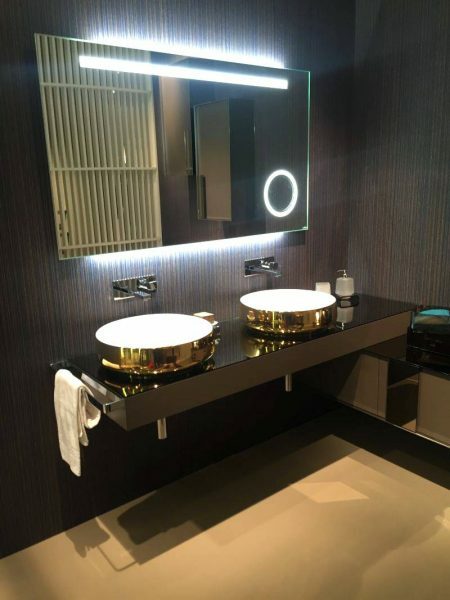 We all know how gold is always a color associated with luxury and glam easily, and this one in the luxury homes proves it precisely. Starting from the gold bathroom mirror to the shiny, glimmering gold bathroom fixtures left exposed—antique-inspired faucets, pipeline, and even wall sconce frame—see how the luxury feel and look are induced without having to overwhelm the space! 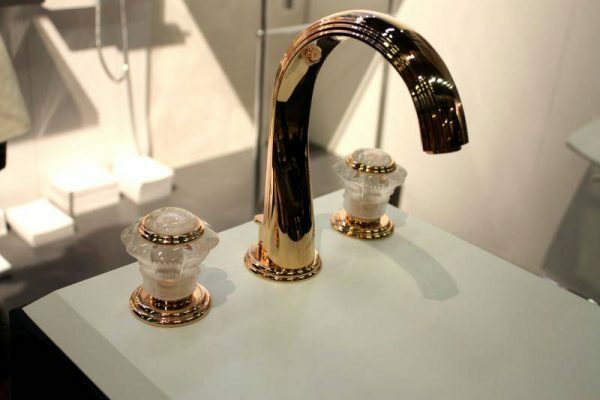 And if you prefer your bathroom to take a more modern approach, then this gold modern bathroom faucet will be a great reference for you how the timelessly luxurious appeal can always be introduced to the more modern and even contemporary flair. 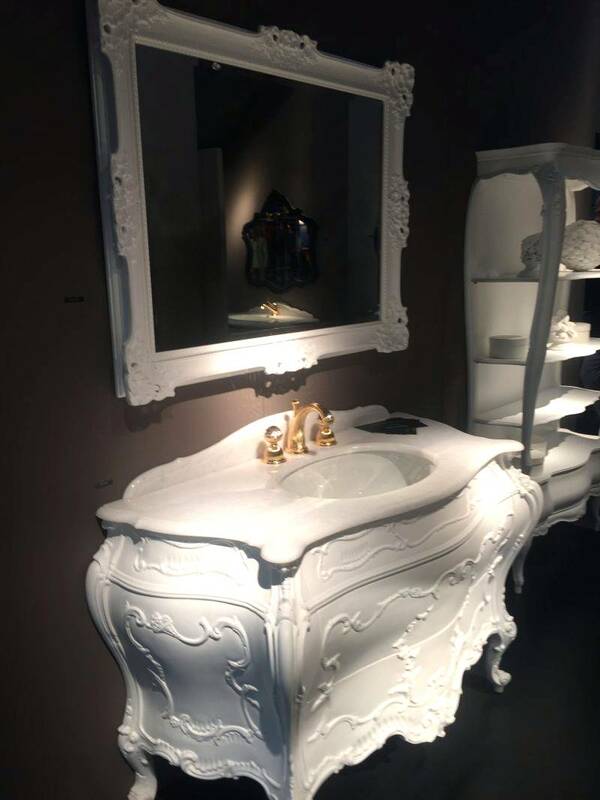 After all, it’s timeless, isn’t it? And this minimalist bathroom sink is also another inspiring reference for you who wish to introduce the sparkling, glamorous gold accents to your space. 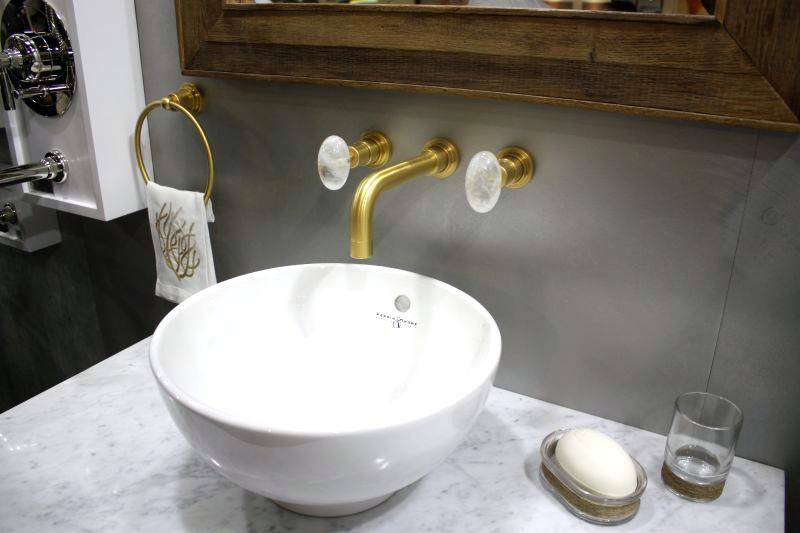 Golden color spotted on faucets and knobs popping out stylishly from the wall, adding a sense of elegance, which is also spotted on the hand towel holder. 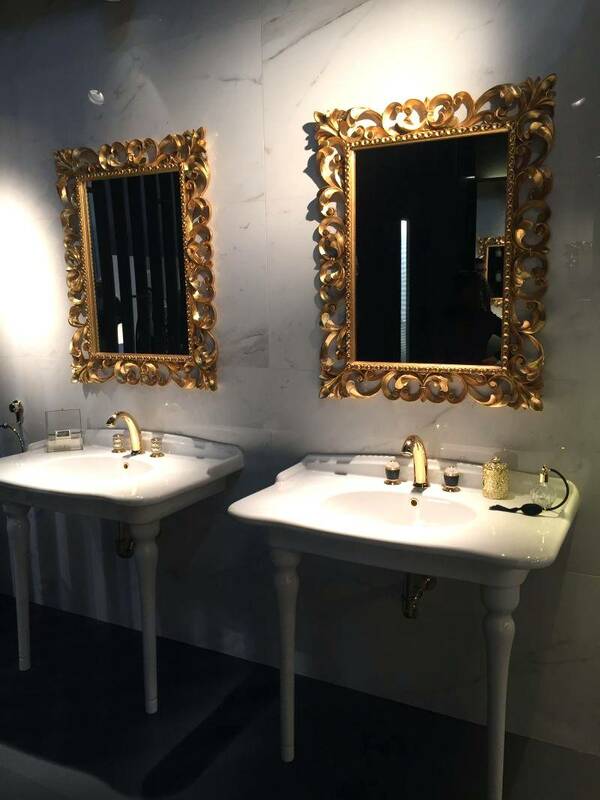 Plus, you can also see how the choice of a vessel sink is always a great pick to exude a sense of elegance aesthetically, especially when it’s paired with a stone countertop, such as marble or granite. 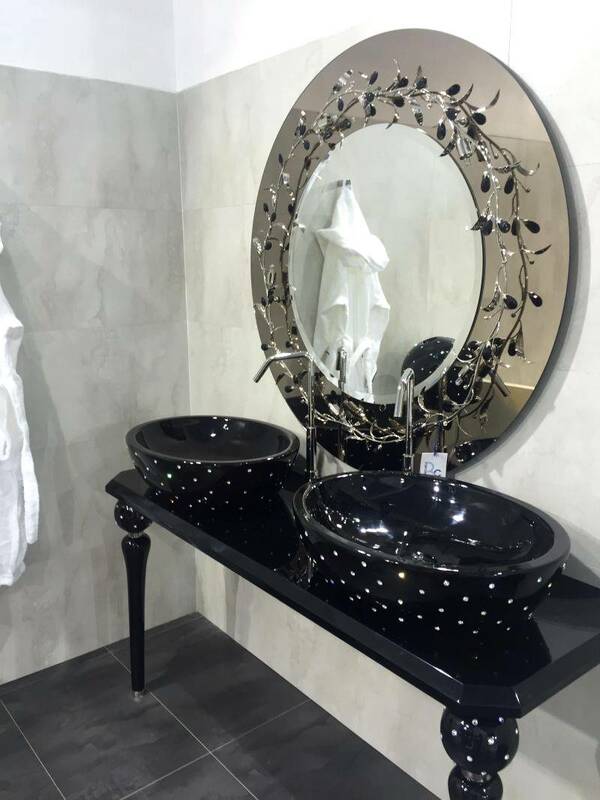 In this glamorous bathroom featuring crystals tufted vessel sink bowls and elaborate flowers detailing forming the circular vanity mirror, you can see how a bathroom vanity does not always have to be a cabinet unit. 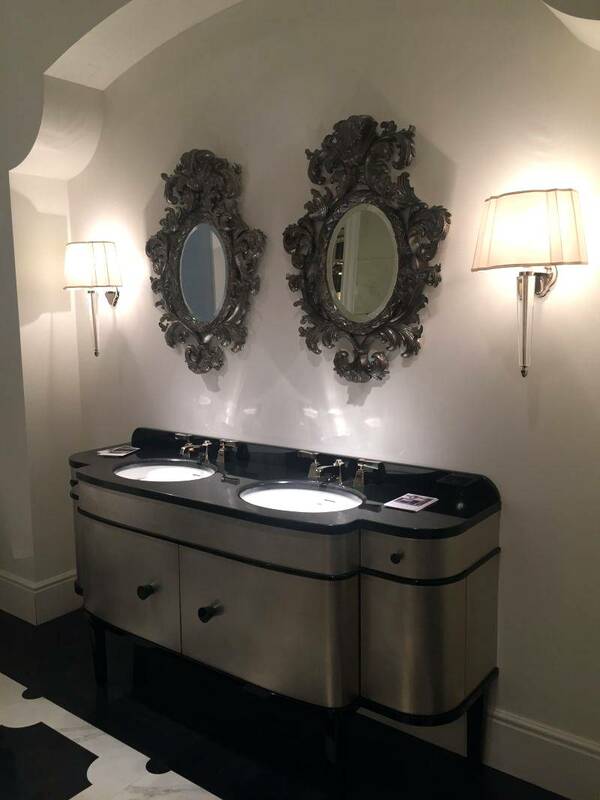 When you find it suitable, a console table as seen here can also serve the same purpose stylishly! 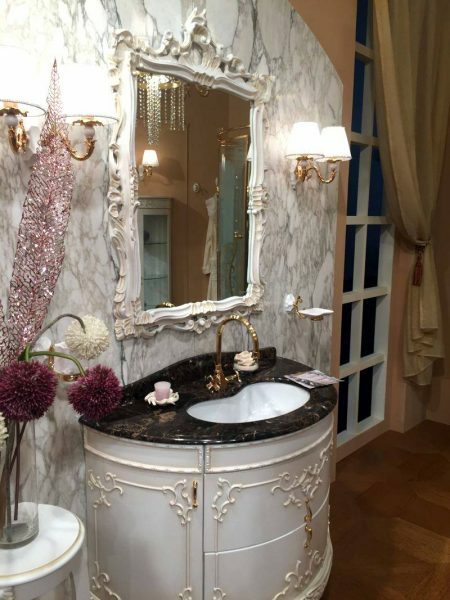 Who says a small bathroom cannot be transformed into a totally luxury place? 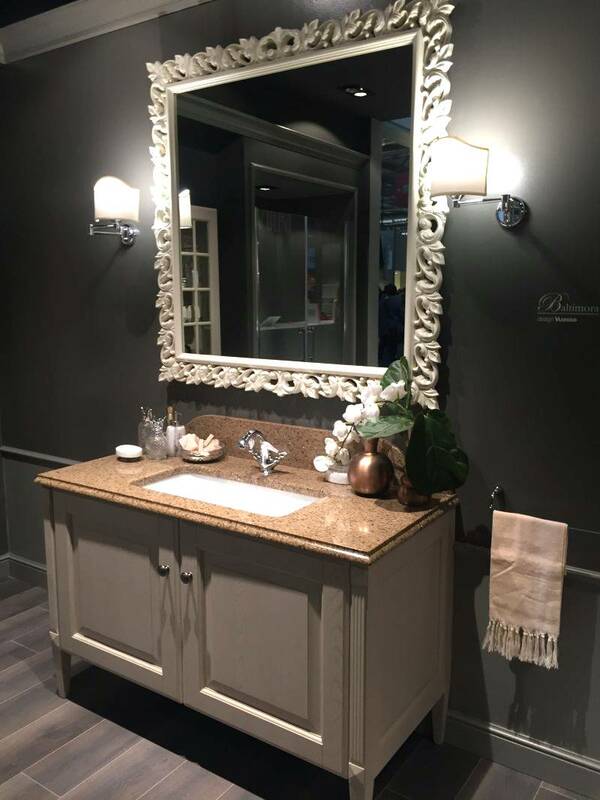 Here, the single old wood bathroom vanity serves as the star in the room, embracing both function and beauty in a perfect balance. Shimmery, shiny sparks are spotted here so easily, as accentuated by the light produced by the wall sconces. 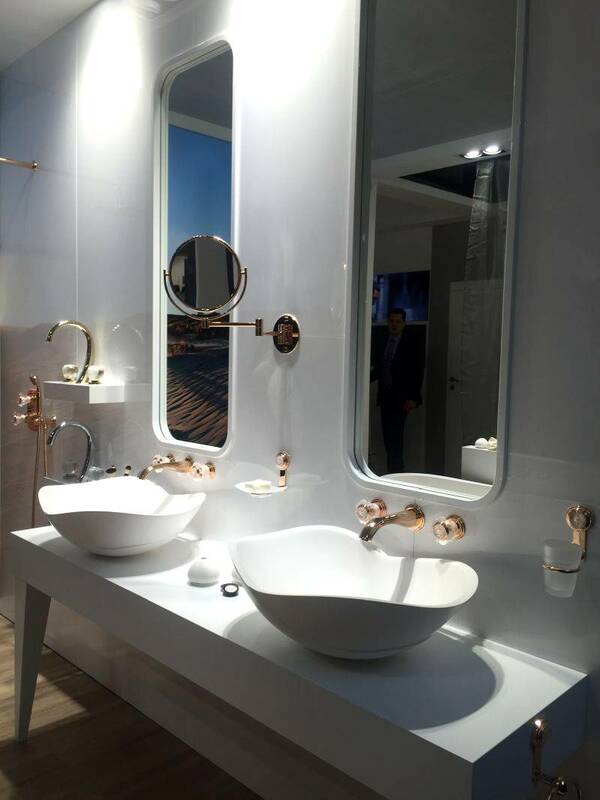 And who says elegance and luxury cannot be embraced in a more minimalistic manner? The double vanity in this contemporary bathroom here can show you how. While the whole features are kept in the modern contemporary design language, the spectacular finish is provided by the use of chandelier lighting hanging above the vanity! 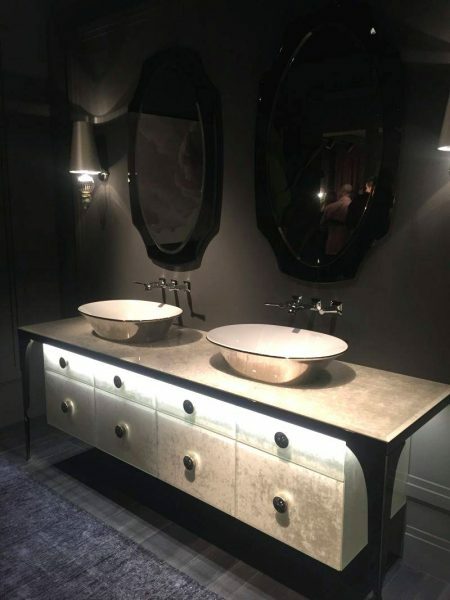 And thanks to the minimalist look and the large vanity mirror, the lighting looks even more impressive! And in this luxury bathroom, the perfect mix for the elegance is created by the choice of gold and solid wood. 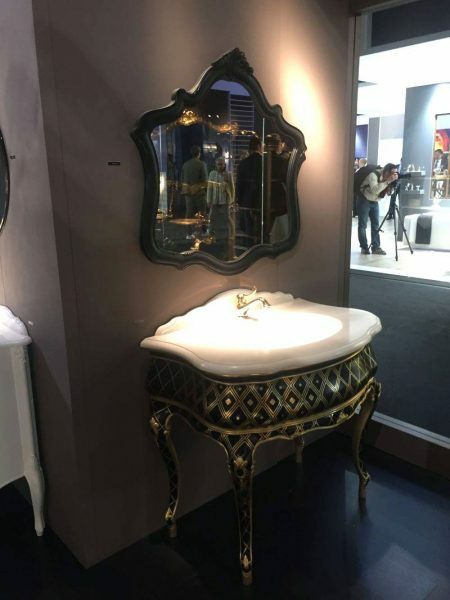 At the same time, we really love the arched vanity cabinet that will always fit a smaller bathroom easily, which roundness is echoed by the oval vanity mirror. 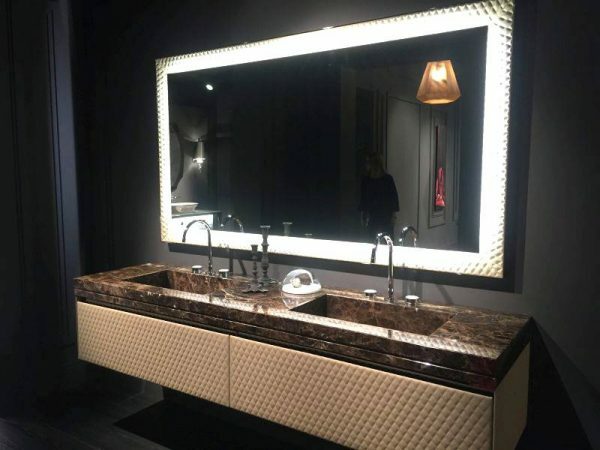 After all, bathroom remodel can always be a mean to improve yours not only functionally and practically, but also aesthetically. It’s especially inspiring when today’s bathroom designs transform this utility room into a retreat.